70% of all decks built in the U.S are constructed using wood. When using man made materials such as vinyl,composites or metals, connecting rail to post is done with a custom made rail connector. But what to use when connecting wood to wood? 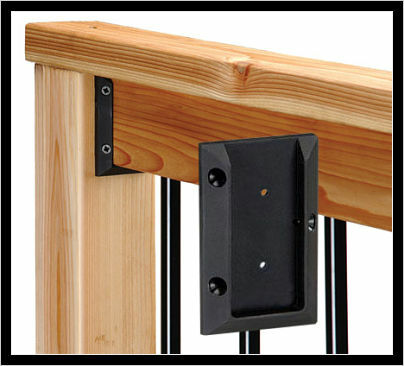 The answer - the Railing connector from Deckorators or Solutions. These connectors are made from high grade plastics that are structurally sound, code approved, and look great. In addition these connectors speed up the installation time and cure the issue of expansion at these joints.